As Flesh and Blood beings, we feel through a variety of modes. I can touch something with my fingers and detect its texture, walk outside in the middle of Oklahoma’s August and feel the heat and moisture; someone tells me that my painting is profound and I feel a sense of accomplishment, or dismisses my opinion and I feel shame. Often, we feel things without seeing that joy or pain for what it is. Rather, it is internalized and becomes part of the self, often in very physical manifestations. “Her great and constant fear . . . was that if anyone came to know all of her, the real her, the true, deep essential Faye, they would not find enough stuff there to love. Hers was not a soul large enough for her to nourish another . . . . Sometimes a crisis is not a crisis at all—just a new beginning. Because if a new beginning is really new, it will feel like a crisis. Any real change should make you feel at first afraid. If you’re not afraid of it, then it’s not real change. Sometimes we are so wrapped up in our story that we don’t see how we are supporting characters in someone else’s.” The Nix, by, Nathan Hill. Change can feel like a crisis. Instead, I might take a few moments to notice my physical reactions and see it rather as exciting, hopeful. Vulnerability reminds me of times someone exploited my trust so I fear someone’s interest in me, thinking, I’m unlovable, or I see that feeling as related to a past experience and recognize this person in front of me does actually love me. St. Julian of Norwich suggests that the realm of history “is composed of the ‘little things’ that are held in existence by God’s love, and that can only be properly known and loved in relation to God. . . . The soul, rather than being an enclosed space, insulated from history, is radically ‘exteriorized’ by the indwelling of God.” The life of Jesus is God’s presence within, and we imitate Jesus outwardly, physically, through acts of compassion. We are meant to feel. We are made to distinguish texture, wetness, warmth, the touch of another. The touch of someone close to you releases oxytocin, a very tangible hormone that initiates a feeling of well-being, even love. 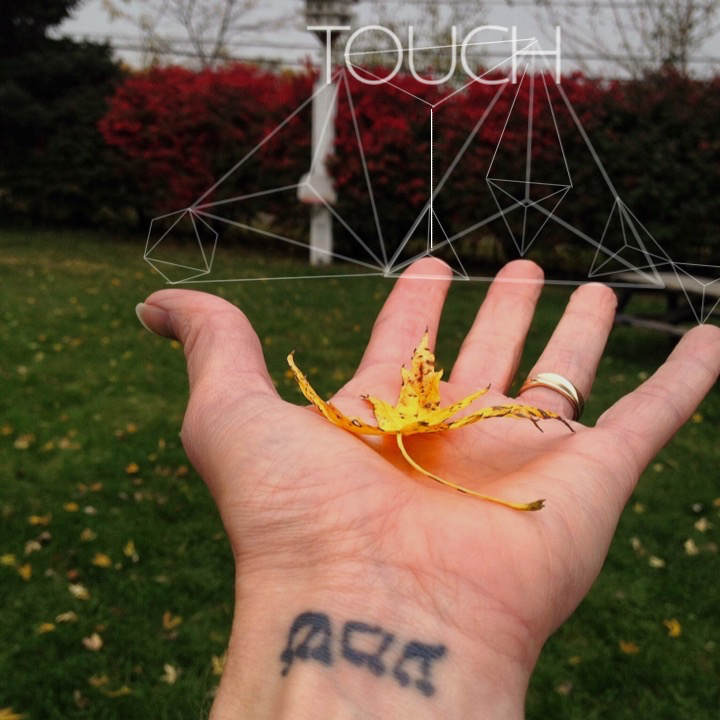 Applying physical touch methodically can be even more healing. Acupressure is based on the Chinese concept of “chi”, the life-flow that can be interrupted by illness, stressors, etc. and inhibit healthy circulation and metabolism. The terms are associated with Asian language and designations while easily understood as referring to the very physical reality of how stress and illness wreaks havoc on/in our bodies. Today we will do a simple self-acupressure sequence to help alleviate headache. As with all of these exercises, pay attention to your breaths. Take slow, unrushed, breaths. The 2nd point is on the outer tip of the eyebrow in front of the temple. Apply pressure on both sides and hold, 1 – 2 – 3 – 4 – 5. Walk barefoot. Pay attention to the ground underneath your feet. As you walk, notice how the sensations make your feet feel, are sensations sent up your legs?